OAKLAND, Calif. (KGO) -- Things were going well for the Raiders at the Oakland Coliseum Saturday when disaster struck Pro Bowl Quarterback Derek Carr, who went down with a broken leg. 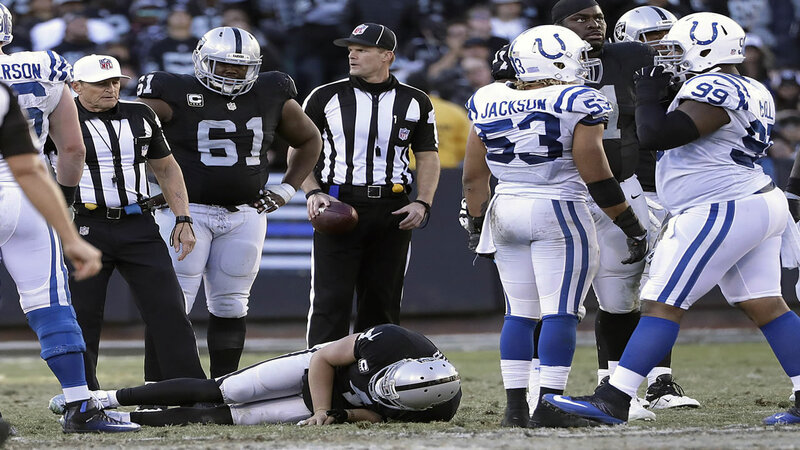 With around 11 minutes left in the fourth quarter and Oakland leading the colts by 19, Carr couldn't avoid the rush and was sacked, his right leg twisting in the process. Carr suffered a broken fibula on the play. Head coach Jack Del Rio says he will have surgery Christmas Day and will be out indefinitely. The Raiders close out the regular season in Denver next week where Matt McGloin will take over as starting quarterback.